Authorities in Central Sierra Nevada, Calif. are looking for a 24-year-old Marine from Washington, Conn., who went on a hike in late February and hasn’t been seen since, officials said. 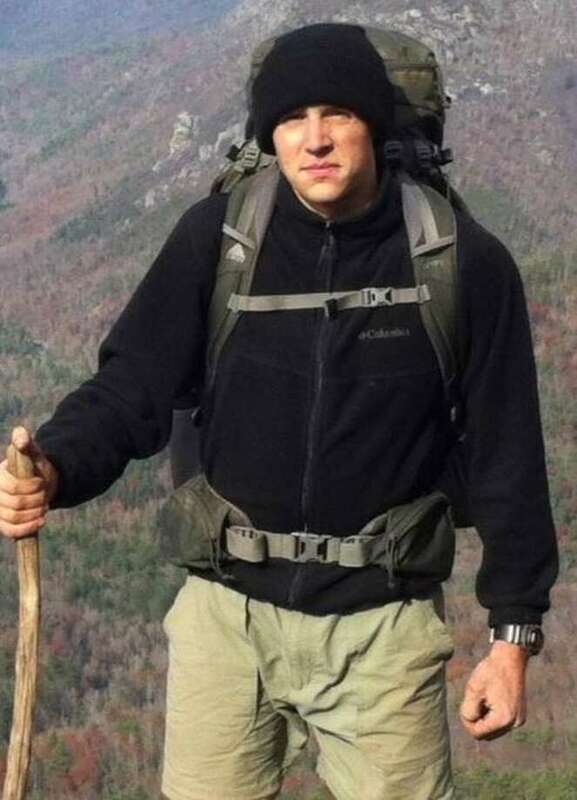 Marine Corps First Lt. Matthew Kraft planned a 195-mile hike through mountainous areas of Sequoia and Kings national parks in California which was supposed to conclude March 4, 2019, said members of the Mono County, Calf., Sheriff’s Office. Authorities in Central Sierra Nevada, Calif. are looking for a 24-year-old Marine from Washington, Conn., who went on a hike in late February and hasn’t been seen since, officials said. Marine Corps First Lt. The search for a missing Marine from Washington continues as rescue crews fight avalanche conditions in the California mountains where he went hiking. Marine Corps 1st Lt. Matthew Kraft, 24, has been missing since March 4, when he was expected to finish a 195-mile hike through mountainous areas of Sequoia and Kings national parks in California, according to the Mono County Sheriff’s Office. Kraft’s father contacted the office after not hearing from his son on March 4, officials said. Mono officers began looking that day and Inyo County Sheriff’s Office Search and Rescue officially started a search the following day. When reached on Tuesday, the Kraft family directed questions to the U.S. Marines media department. An outpouring of prayers and well wishes that Kraft is found have filled the numerous departments’ Facebook pages where they are posting updates. Many reference his training as a Marine. Kraft was commissioned as a Marine Corps officer in 2016 and graduated from the Infantry Officer Course and Winter Mountain Leaders Course, considered to be two of the most rigorous training courses in the Marine Corps, officials said. The support is also coming from Kraft’s hometown. A vigil was held at Washington Town Hall on Friday. More than 180 people also contributed nearly $17,600 on a GoFundMe fundraising page to help the rescue effort. That page has since stopped collecting donations and others are being sent directly to the Inyo County Search & Rescue page. Eleven state and military agencies are involved in the ground and aviation search, as well as two Marines from Kraft's unit, officials said. The terrain includes areas where avalanches have occurred and the weather has hampered the search, Mono County officials said. “Snow instability will remain a challenge as search teams attempt to clear portions of the route,” said Sgt. Nate Derr, the Inyo Sheriff’s Search and Rescue Coordinator. Kraft’s phone was last used in the Independence area, according to cellphone forensics from the Mono Sheriff’s Office, according to the office’s Facebook page. The Inyo County Sheriff’s Office found Kraft’s vehicle on Friday at the Grays Meadows campground near Independence, Calif.
On Saturday, the Inyo County Search and Rescue unit used a Snowcat to rope-tow search-and-rescue team members on skis up to the Onion Valley parking area. On Monday, two Inyo County Search and Rescue avalanche experts were airlifted to the crest of Kearsarge Pass so they could begin to clear the route on the east side and assess avalanche risk for the ongoing search operations. On the Sequoia and Kings Canyon National Parks side of the crest, rescuers continued to examine possible points of interest and look for new clues. The terrain is so difficult that the sheriff’s office asked volunteers not to venture out to look for Kraft as emergency responders work to clear areas that have been impacted by avalanches. “We know the public is very interested in helping with the ground search effort, but due to the extreme hazards in the search area, we are not requesting any outside units at this time,” said Dave Fox, the incident commander for Sequoia and Kings Canyon National Parks.